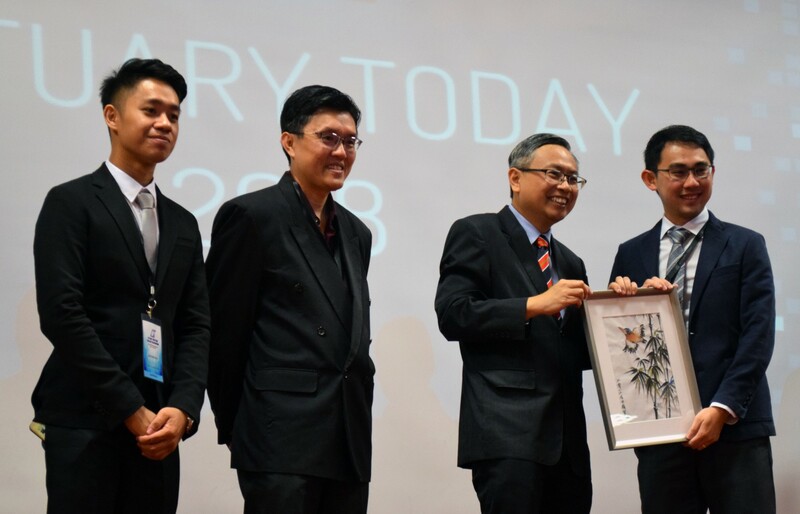 Actuary Today 2018 was the fifth biennial ‘Actuary Today’ events organised by the Universiti Tunku Abdul Rahman (“UTAR”) Actuarial Science Society. my company, MSIG Insurance (Malaysia) Bhd., was the top sponsor for the event. to provide a better understanding of actuarial science to the public. The event was opened by Chairperson of the Actuary Today event, Mr Lim Chin Hui. In his opening speech he highlighted the aim of the event – to enhance the knowledge of the public and actuarial science students about the future prospects and versatility of actuarial science, which was in line with the Actuary Today 2018 slogan – ‘Visualise the Unforeseen’. Ms Chong Wan Leng, Appointed Actuary of Labuan Reinsurance Limited. This event was also comprised of three concurrent sub-events. The exposition was open to the public and was held throughout the four days (7-10 June). There were featured booths for the sponsors, a section providing a wealth of actuarial-related information and a games section. Over the four days, members of the public could learn more about the history of actuarial science, basic information about actuarial science, actuarial job prospects, the various professional actuarial examination paths and their corresponding actuarial associations, detailed analysis of local universities offering the actuarial science course, career fairs and actuarial-related jokes. During the Actuarial Exposition, I had the opportunity to brief the public about the Actuaries Institute as well as promoting the Actuarial Sprint app. Town hall meeting with distinguished actuaries. The Actuarial Challenge was an American Idol/ The Apprentice/ Part III Commercial Actuarial Practice-style challenge, where participating universities sent a group of their top six students to solve a business problem. Each group had 24 hours to solve the business problem and present their findings and recommendations to a panel of judges. The Actuarial Challenge question this year was designed by yours truly, and was based on the newly-issued Phased Liberalisation of the Motor Tariff guideline by the regulators of the hypothetical country of Actuaryland (which was intended to be similar to the Malaysia general insurance industry). Participants were required to analyse Motor market claim trends, rationalise the extent of their deviation from the tariff rates, structure a process flow for the introduction of new products and propose the new products to be introduced with strong justifications before a panel of judges which comprised of Mr Simon Lam, Ms Chong Wan Leng and myself. 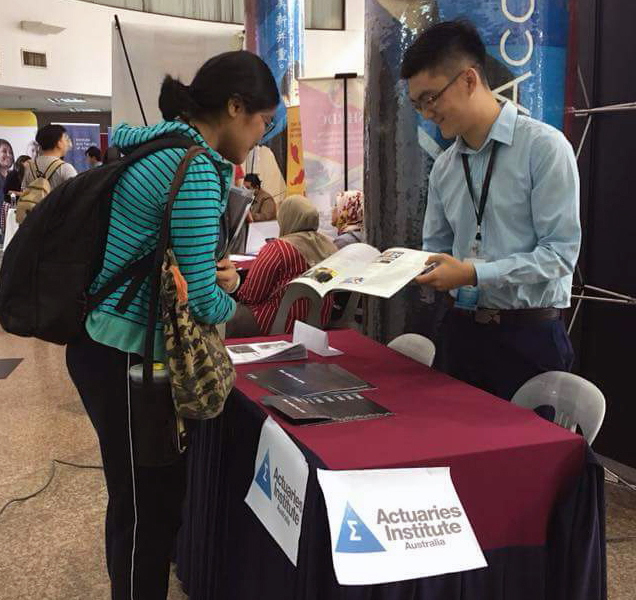 For the 2018 Actuarial Challenge, six universities battled for bragging rights – Asia Pacific University, Chinese University of Hong Kong, Heriot Watt University Malaysia, UCSI University, University of Malaya, and Universiti Tunku Abdul Rahman. Personally, I was pleasantly surprised by the maturity of some the students’ recommendations. As I reflected over Actuary Today 2018, I felt happy to be part of this event because I believe that the various participants from different backgrounds were able to enrich their knowledge of the actuarial profession. I’m already looking forward to the next Actuary Today event in 2020. 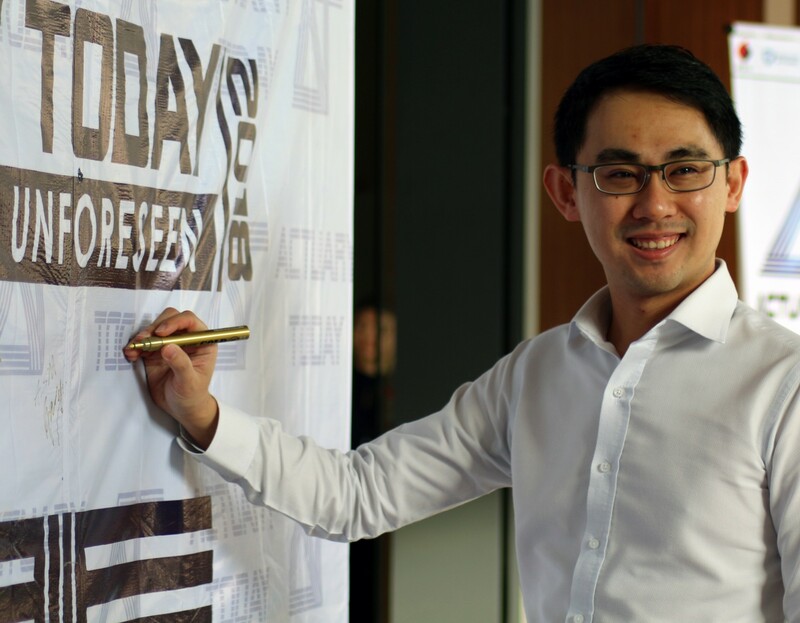 Kelvin Hii is currently the Vice President - Actuarial and Appointed Actuary of MSIG Insurance (Malaysia) Bhd. His previous roles include Group/ Chief Actuary, Chief Risk Officer & Appointed Actuary, and Senior Consultant & Actuary across general insurers and actuarial consultancies. He previously held various positions in the Actuarial Society of Malaysia such as Vice President, Treasurer, Professional Development Chairperson and Head of the General Insurance committee. He is a Fellow of the Institute of Actuaries of Australia and a Fellow of the Actuarial Society of Malaysia. He holds a Bachelor of Commerce (Actuarial Studies) from the University of Melbourne.